Shavuot is a Jewish holiday to celebrate the harvest of wheat. It also commemorates the day the Israelite received the Torah from God at Mt. Sanai. 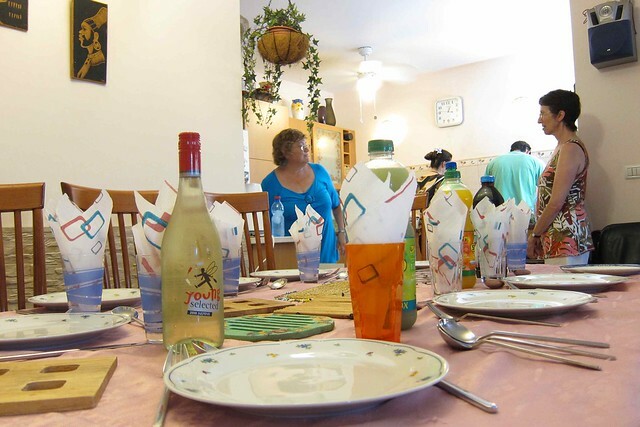 Shavuot is a major holiday in Israel and families come together to celebrate. My host invited me to time my arrival to Israel for this holiday. As this is a thanksgiving for harvest, the celebration is synonymous to food abundance. I arrive on the eve of Shavuot and joined my host family for a lovely dinner. The father who’s a bit religious told me the story of Shavuot and the whole family were engaging and gave suggestions on my trip in Israel. 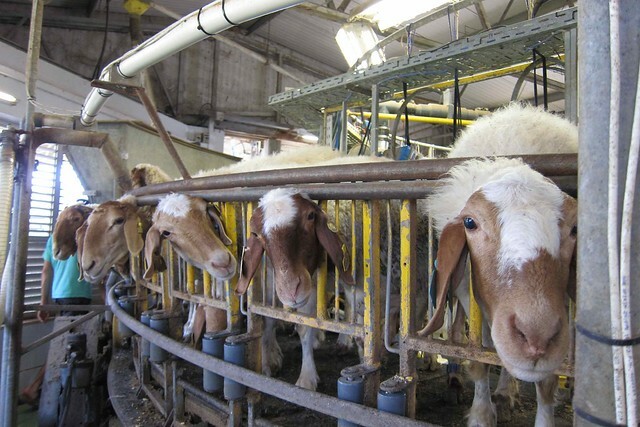 On the actual day of Shavuot, they went to celebrate with their long time family friend in a kibbutz. Apparently it’s very special thing to do during this holiday. 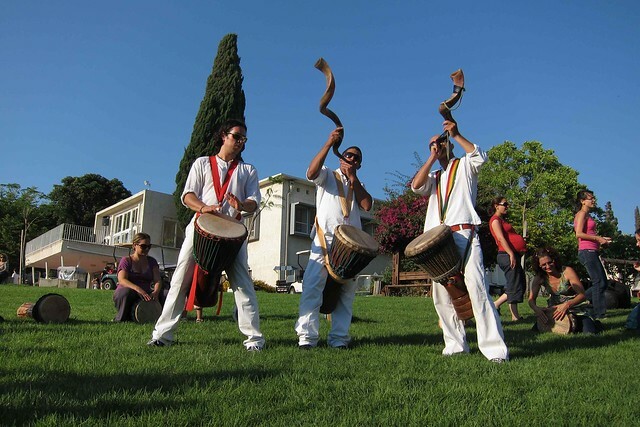 Kibbutz is a collective community in Israel that is generally based in agriculture. 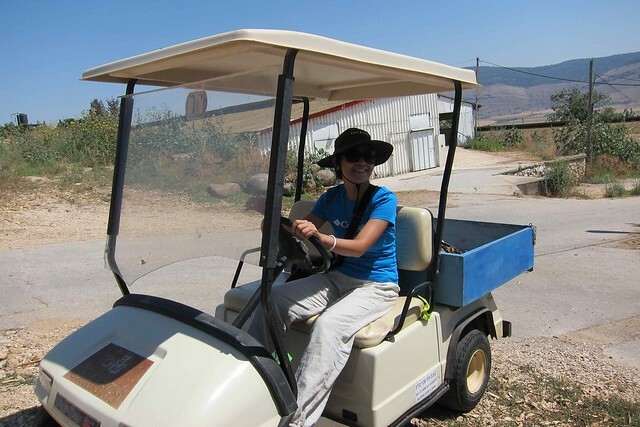 Everyone works in the kibbutz in their capacity, and everything will be provided for. Farmers, teachers, doctors, it doesn’t matter. Everyone gets the same benefits. I know what you’re thinking. 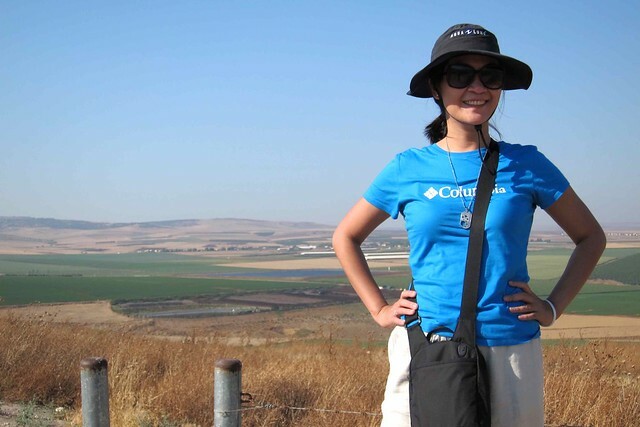 first heard about kibbutz from an Israeli girl I met traveling in China. I have later hosted another guy who grew up in one. So naturally, I was very excited to see for myself what it’s like. With a simpler kind of lifestyle in mind, not that I expect it to be a caravan site, but was very surprised to find that a kibbutz life is more of a country club. 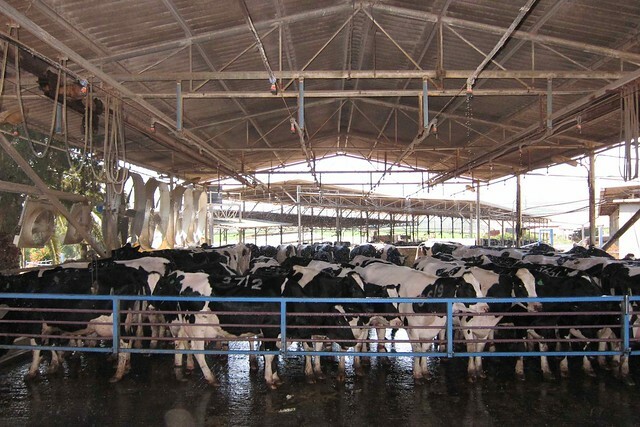 The facilities they have in the kibbutz is amazing. Landscape is beautiful and they have community pool. I was told that the kibbutz these days are different. In the earlier days, the life there were indeed simpler. Food were just flowing out of the kitchen of Vivi. She showed us around her garden and served amazing cheese cake, which I learned later from friends that it’s tradition to serve during Shavuot. 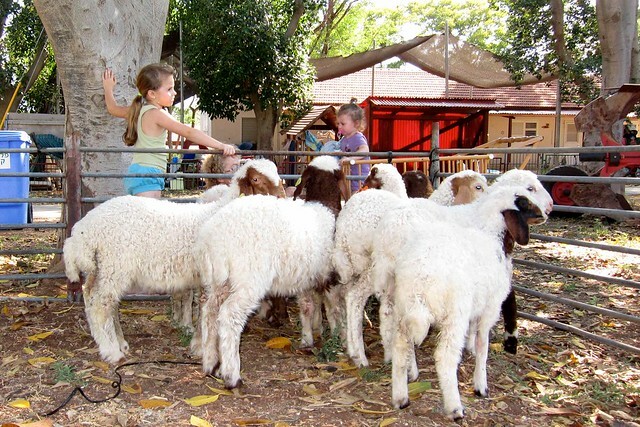 Vivi’s kids were nice enough to tour me around the kibbutz life–the farm animals and the awesome view from the top. Around 4p.m. we went to join the fair held at the center for activities of the kibbutz. Lots of things going around the fair– there were musicians, artists, showcase of baby farm animals, and lots of free food. It was a full day of doing nothing but eating and lots of lounging around and seeing, but I was so tired going back home that I slept through the night without supper. Or maybe it was jet lag. I’ve never heard of a kibbutz before but it looks like nice and kushy! What are those spiral horns the musicians were blowing called? This is the perfect way to break down this informiaotn.